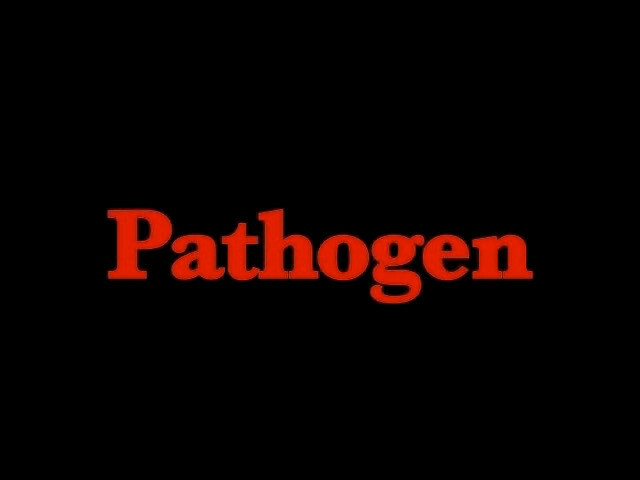 When she was 12 years old Emily Hagins started filming Pathogen with the help and support of her parents. Due to school commitments and inexperience it took over a year to get the film completed and ready to show. (It played at the Alamo Drafthouse, which the Hagins frequented.) While I’m easily swayed by creativity and effort, I’m not always kind in my reviews. This movie has me in a sort of critical form of double vision because I don’t want to crap on the creative efforts of a tween, but it’s really not very good. My intent then is not to evaluate the movie on its own but to examine what it can tell us about filmmaking beats, particularly in the zombie genre. When I was Hagins’ age, I was trying to write a novel that was heavily rooted in things that I loved: the film Alien , the TV show Lost In Space , and the comic Captain Marvel . A lot of people begin developing creative skills by making existing material their own. While we see that frequently in novice filmmaking, we’re not used to getting it filtered through such a young perspective. 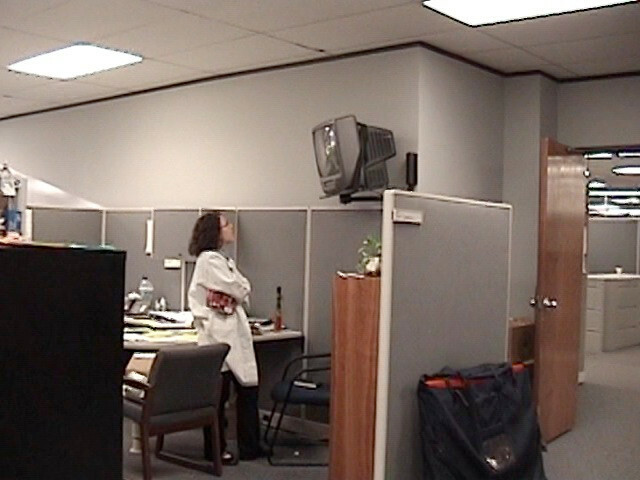 The researcher whose work created the pathogen watches security footage to see how it got out. One of the biggest things I noticed was an inversion of the child zombie plot element. I’m not saying there aren’t zombies that are children — there are, and some of them are quite young. What I mean is a scene where a parent is confronted by their zombified child. It’s been practically standard since the basement scene in the original Night of the Living Dead , and entire plots have turned on it in zombie-influenced horror films like Who Can Kill a Child? and The Children (1980) . Since the protagonist Dannie (Rose Kent-McGlew) is herself a kid, Hagins has her fight off her mother. It’s a switch that demonstrates an understanding of the core emotional impact of the convention; enough to convert it for a child’s viewpoint. Rather than having to defeat someone you would ordinarily protect, Dannie had to fight the person she most relies on. The appearance of the first full zombie! Being the first long work of such a young filmmaker, the details aren’t fleshed out. It’s very procedural, and even events like the encounter with zombie mom simply occur without any oral or visual demonstration of the impact on characters. Nothing is mentioned about it at the time or later. A lot of things that are conceptually horrifying are presented as from a list. The emotional response is left to the viewer to construct from memories of previous movies. The surviving kids gather at a rallying point. Again, these are failings that are to be expected in fledgling filmmakers, although many will include hackneyed dialog about how messed up everything is. I’m more interested in this rare opportunity to see the foundational elements of a horror story laid bare. Having to behead a close friend, killing a healthy person by mistake, the failure of authority, the accident that starts it all — there’s even a shopping trip, for crying out loud. What we have is a collection of parts arranged in a skeletal plot, and it’s not a bad one at that. Because Hagins is so familiar already with how these stories work, she’s constructed a pretty solid framework. The researcher takes everyone to her facility. The last thing I want to mention is that because Pathogen is so threadbare it highlights the nihilism of the genre. People have told me they can’t watch zombie films because they know everyone’s going to die. I’d argue that they haven’t seen enough because that’s a provably false viewpoint, but it’s true that even with survivors there’s usually not a lot left of the world. It’s bleak stuff, that’s for sure. There’s also hope and humanity. The struggle to survive, the effort to retain civilized morality — all of this has meaning. It provides hope that a semblance of normalcy can be restored. It assures us that we can retain our values in the face of overwhelming defeat. In the voided world of Pathogen all of that is gone. Hope lasts for approximately 2 minutes of screen time, and the rest is survival for the sole sake of dying later. Emily Hagins, at the age of 12, made the grimmest zombie film I’ve ever seen.